If you spend a lot of time throwing a baseball, and especially if you participate in competitive sports, you may have a higher risk of developing an elbow ligamentous injury. Jonathan Oheb, MD, is an orthopedic specialist with extensive experience treating athletes and others who develop elbow ligamentous injuries. You can count on his expert treatment and rehabilitation to help you regain optimal elbow strength. 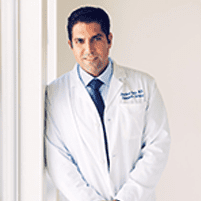 To schedule an appointment, call one of his offices in Beverly Hills, Encino, and Mission Hills, California, or book an appointment online. What causes an elbow ligamentous injury? Your elbow joint includes three primary ligaments that work together with numerous smaller ligaments to stabilize the joint and allow for the elbow’s full range of movement. 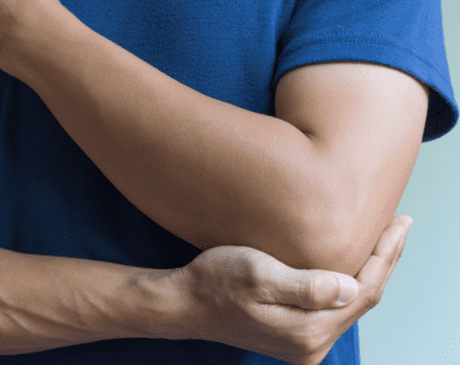 What are elbow throwing injuries? Anyone who spends time throwing a ball, especially pitching a fastball, is susceptible to damaging the elbow’s medial collateral ligament (MCL). The pressure pitching places on the elbow, combined with repeating the same motion over time, causes inflammation and damage that can lead to a ligament rupture. Although throwing injuries develop gradually, your throwing volume, pitch type, and throwing mechanics factor into the extent of the damage and how rapidly it develops. Since you can retain elbow movement while slowly losing force, you may not know your ligament is injured until it ruptures. The first symptom of an MCL injury is pain along the inside of your elbow. You may also develop swelling and, if the ligament ruptures, bruising may appear. 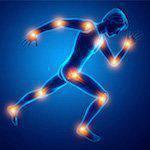 How does an elbow ligamentous injury affect joint stability? Elbow instability occurs when the ligaments are too weak or loose to support the joint. As a result, the bones can pop or slide out of place. The most common recurring elbow instability, this problem is usually caused by trauma, such as falling on your outstretched hand. As a result, the lateral collateral ligament complex on the outside of the elbow is injured. Your elbow is unstable due to a medial collateral ligament injury. It typically arises from repetitive stress such as throwing a baseball but could also occur due to trauma. Also caused by trauma such as a fall, this chronic instability develops due to lateral collateral ligament injury plus a fracture of the ulna bone on the inside of your elbow. How are elbow ligamentous injuries treated? Dr. Oheb employs conservative treatment techniques whenever possible, including bracing, physical therapy, and activity modification to protect the ligament. When your ligament ruptures, you may need surgical repair and immobilization to ensure optimal healing. When you develop elbow pain or swelling, call Dr.Oheb or book an appointment online.